This morning at Apple's special event in the Steve Jobs Theater at Apple Park, Vice President of Apple Pay Jennifer Bailey took the stage to announce Apple Card. These "Apple" name prefixes are growing tedious, but Apple Card is looking to reduce the tedium which permeates the credit card industry. Apple is championing its credit card as a new industry leader in a variety of areas, including privacy, security, transparency, lack of fees, and fair interest rates. Apple Card gives rewards in cash rather than points, and these "Daily Cash" rewards are distributed to your Apple Cash account every day. If Apple Card can deliver on its promises, it shows real potential to be a disruptor in the often exploitative credit card industry. 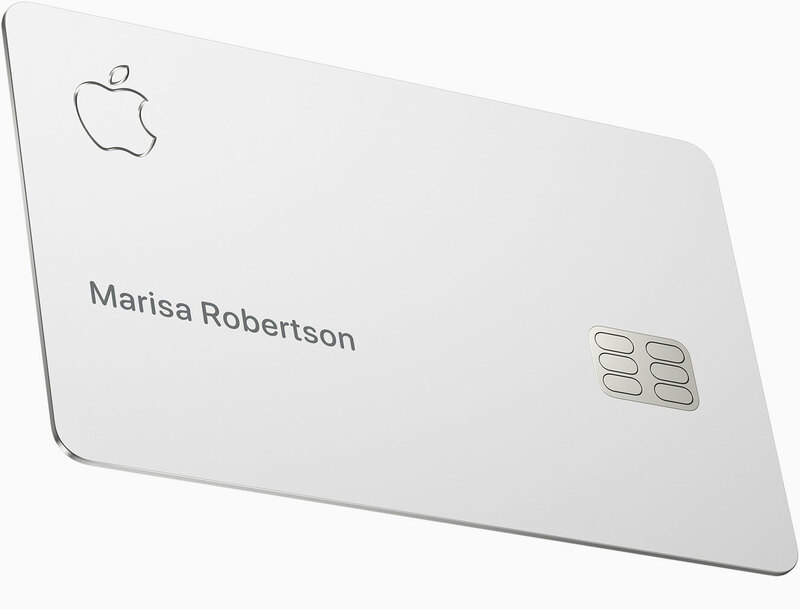 Apple Card is both a physical and a virtual credit card, but Apple is strongly toting the virtual variant. It will live in a redesigned Wallet app when it launches this summer, and can be used anywhere that accepts Apple Pay. When using the Apple Card through Apple Pay, you will receive 2% cash back on all purchases, and 3% cash back on purchases from Apple (including at Apple Stores, on Apple's website, and on iTunes and the App Store). The physical Apple Card can of course be used anywhere Apple Pay is not accepted, but it will only give 1% cash back. Presumably if you use your physical card somewhere that does support Apple Pay, you'll still only get 1% cash back on those purchases. With these rewards, Apple is definitely hoping to get more people using Apple Pay whenever possible, rather than sticking to traditional methods that may be more comfortable. Apple is calling their rewards program Daily Cash. True to its name, it will deposit any cash back that you've earned in daily intervals. There is no limit to the amount of Daily Cash that you can earn while using Apple Card, and the cash deposits directly into your Apple Cash account (formerly known as "Apple Pay Cash"). From Apple Cash you can send Apple Pay payments to your friends through Messages, make purchases at stores or online where Apple Pay is supported, or deposit the money into a bank account. Apple Card will live in the Wallet app just like existing credit cards linked to Apple Pay do today, but the interface for Apple Card will be far more intricate. Tapping on Apple Card in Wallet will reveal your total balance, when your next payment is due, recent transactions, and a button to access a more detailed look at your card's activity. You can view activity in weekly or monthly intervals, and it will be broken down for you in categories and in the amount of Daily Cash that you've earned back. Apple is using machine learning and Apple Maps data to puzzle out the true sources of any inexplicable transaction names, data which is then used to properly categorize and display your transactions. All of this analysis is performed privately on-device, keeping your data secure. Within the categories section of Apple Card in Wallet, you'll be able to filter by all transactions in a category, drill down into all transactions by particular merchants, and see data for where and when these transactions took place. Categories have colors assigned to them to make it easy to spot which transactions fit where. It's unclear if you'll be able to manually categorize any transactions which may be placed incorrectly, or if you'll be able to set up custom categories (I'm assuming yes to the former and no to the latter, but being able to add custom categories and assign vendors to them would be very nice). The details view for individual transactions will show photos and contact information pulled from Yelp, the amount of Daily Cash earned from the transaction, and a list of other transactions made at the same merchant. It will also display a monthly total spent at merchant. Apple Card has no fees whatsoever, not even for late payments or exceeding limits. According to Apple, its goal is also to have some of the lowest interest rate in the industry. At the time of this writing, the Apple Card website is quoting variable APRs ranging from 13.24% to 24.24%. We'll have to wait for Apple Card to ship to start getting a sense of the actual average rate that people end up with. The updated Wallet app will support new notifications for Apple Card users, sending reminders when upcoming payments are due. Payments for Apple Card are always due on the last day of the month, but you can set up payment reminders on a weekly or biweekly basis so that they match when you get paid. Missing payments will not result in fees, but Apple notes that it will result in increased interest accumulating on your balance. I believe this is directly in reference to Apple Card's transparent interest feature, which allows you to specify an amount you plan to pay on your card in a given month and returns an estimate of how much interest you'll pay on the remainder. If you specify that you'll pay your full amount then the app will tell you that you will have $0 in interest charges. If you then miss that payment, the result will of course be that interest accumulates on your balance. 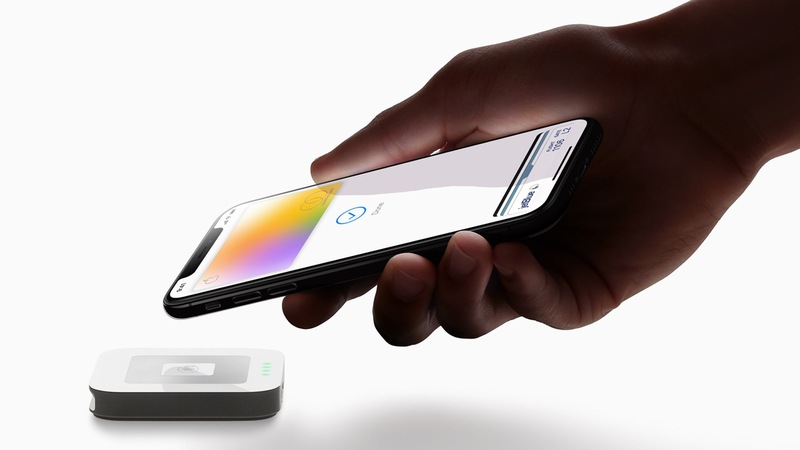 Apple has emphasized strongly that it wants to encourage users of Apple Card to pay off as much of their balance as possible every month, preferably all of it. It specifically calls out how most credit card companies prominently display the minimum payment due, and if that's all you pay then you end up with tons of interest charges. 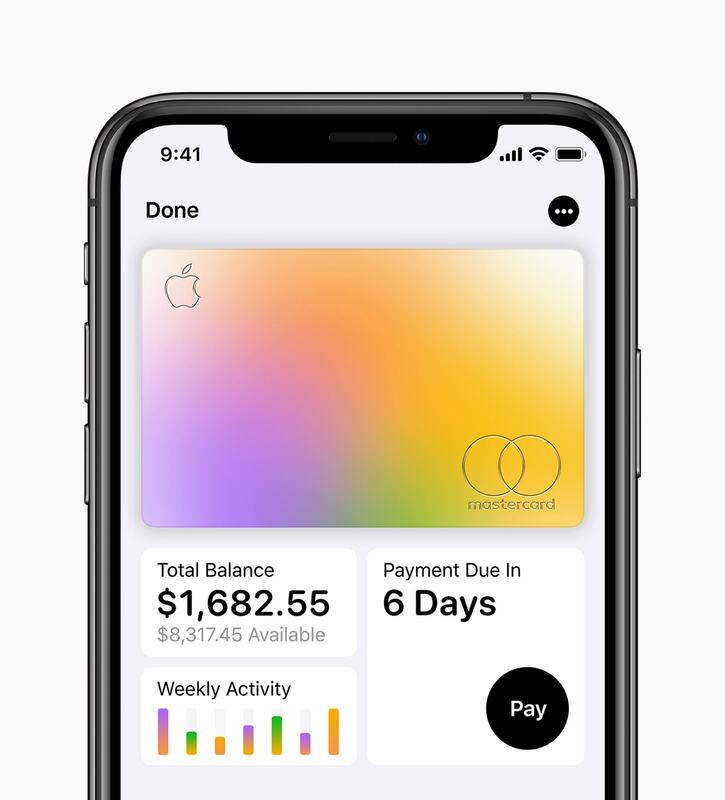 Apple says it wants customers to pay as little interest as possible, and is doing as much as it can in the Apple Card interface to make things transparent and help users keep their finances in a healthy place. Each time you make a payment with Apple Card, you'll receive a notification informing you of the payment and its amount. If you don't recognize a charge then you can press the notification and immediately report the possibility of a fraudulent charge. In a similar vein, if Apple detects a charge that it deems unusual then it will send a notification informing you of this. Directly from the notification, which will include an amount and a merchant name and location, you can mark the charge as okay if you expected it. This sounds like an absolutely excellent feature, and I'd expect should put an end to the incredibly frustrating situation where banks mark unexpected transactions as fraudulent and automatically decline them. Apple does not store any of your Apple Card history on its servers. All transaction history and spending summaries are generated on-device, keeping your information in as few locations as possible. Apple Card is issued by Goldman Sachs, which will of course have access to your data since they're issuing the transactions. That said, according to Apple it chose to partner with Goldman Sachs specifically because the bank had not issued another credit card before, and was open to a new way of doing things. Apple is assuring customers that Goldman Sachs will never share or sell data from Apple Card users to any third-parties for marketing or advertising. When Apple Cards are first activated, a unique number is stored in the secure element of each device that you add the Apple Card to. This number is required for the device to make transactions, and can only be unlocked by authenticating a transaction through Touch ID or Face ID. All transactions additionally require a second one-time use number, which is generated and consumed at the time of transaction. Surprising no one, the physical Apple Card is over-engineered in the best way. Made from titanium, the card has an Apple logo and your name etched into it, and no other markings on the front other than the embedded chip. While your Apple Card does have a card number, expiration date, and CVV, those sensitive values cannot be found on the card itself. Instead you can access them from the Wallet app when you need them, which means that if your Apple Card is lost or stolen then your numbers cannot be pulled from it. If your physical card is stolen and you need to freeze it, you can do so directly from the Wallet app at any time, and you can order a new card to be sent to you from there as well. If at any time you have a support question that you'd like answered about your Apple Card, you can just send a text message to get help. This utilizes Messages' Business Chat feature which Apple rolled out last year. You'll get a direct chat line to support which you can use to make an address change or pose any other questions or concerns you may have. One of Apple's greatest skills has always been to step into an established industry and give a fresh take, throwing out the baggage and ingrained assumptions that incumbents rarely challenge. It's too early to know if Apple Card will join Apple's list of successfully disruptive products, but there's no question that it's telling a very different story than any other credit cards on offer today. With a foundation built on privacy and security, refreshing core values for not pursuing fees or excessive interest returns, a solid and straightforward rewards program, and an Apple-quality software experience, the Apple Card story sounds mightily compelling. Apple Card is coming to the United States this summer, and you can sign up to be notified by email as soon as it's available here. As of now it is unclear when Apple plans to release the card in further regions.